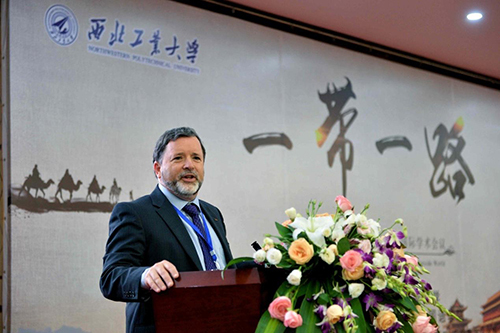 International conference on "China's ties with the Outside World through the Belt and Road Initiative" was held at Northwestern Polytechnical University (NPU) from September 23 to 24, 2017. The conference was organized by NPU, co-organized by School of Foreign Languages and Cultures, Office of International Cooperation, Office of Humanities and Social Sciences, and School of Marxism. The conference commenced with the opening remarks of Professor Yin Xiaohuang, Dean of School of Foreign Languages and Cultures. 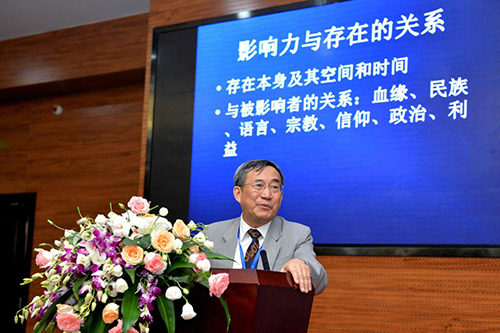 Professor Zhang Jun, Vice president of Northwestern Polytechnical University gave his welcome speech in the opening ceremony in which over 300 international scholars, faculty members and students participated. 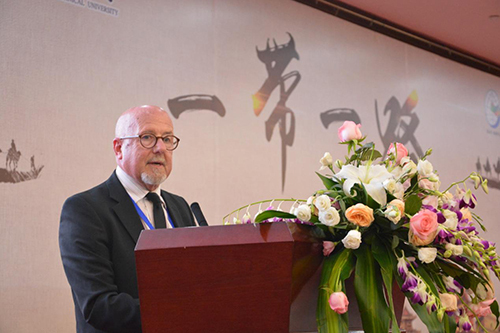 Professor Ge Jianxiong, a distinguished professor from Fudan University, Professor Michael Dennin, the Vice Provost for Teaching and Learning of University of California, Irvine in the USA, and professor Paul Jay from Loyola University Chicago delivered keynote speeches. 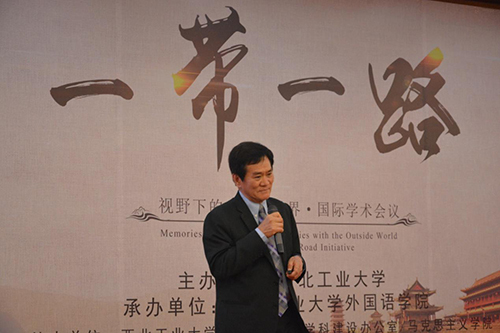 The conference had more than 80 eminent and influential scholars from China, America, Thailand, Britain, Pakistan, Kazakhstan, and Egypt taking part in the 10 sessions, approaching "China and the World under the Belt and the Road Initiative" from multi-disciplinary perspectives, so as to provide new insights for the sustainable development of interactions between China and the world with the convergence of the global vision and the domestic wisdom. Fruitful discussions and inspirational ideas were generated out of the 10 sessions addressing themes like Chinese Culture Overseas, International Cooperation in the Context of the Belt and Road Initiative, the Influence of Think Tanks and NGOs in Sustainable Development and Multicultural Interactions and Global-Local Nexus in the Context of the Belt and Road Initiative, etc. Professor Worsak Kanok-Nukulchai, the President of Asian Institute of Technology addressed all the participants on 24th, Sep. in the closing ceremony, explaining his understanding of the strategic significance of the framed BRI by Chinese government in terms of bridging the cultural divide to solve international issues that threaten the humankind and offering his suggestions on the cultivation of global competence in the increasingly globalizing world as well. 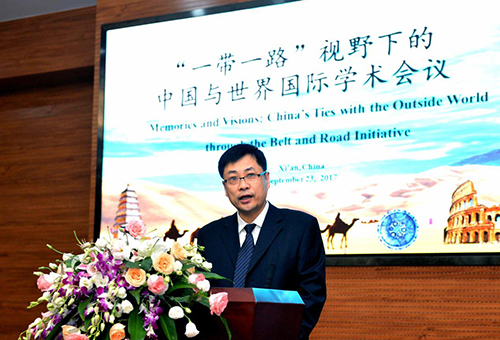 As is known, the Belt and Road Initiative intends to build a blueprint for the development of the new era on the basis of respecting the cultural diversity of China and neighboring countries. 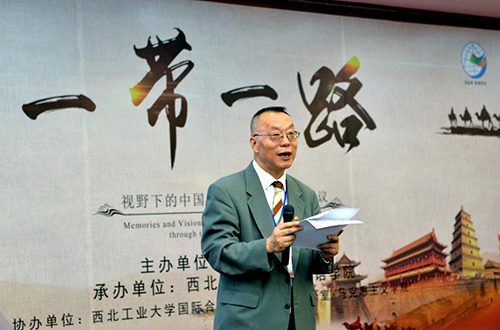 This international conference, aimed to provide a high quality academic platform, has built a bridge with scholars across the globe to discuss interactions between China and the world, to explore the developing trend of Chinese and foreign culture and to face the challenges and opportunities in globalization arising from issues related to the Belt and Road Initiative, which keeps in line with the spirit of unity and mutual trust, openness and inclusiveness, peace and development for all, embodied by the ancient Silk Road.